Bhutan is a small country, about 300 Km long and 150 Km wide, with less than a million inhabitants, located between two giants (China and India) and landlocked by the mountains of the Eastern Himalayas. 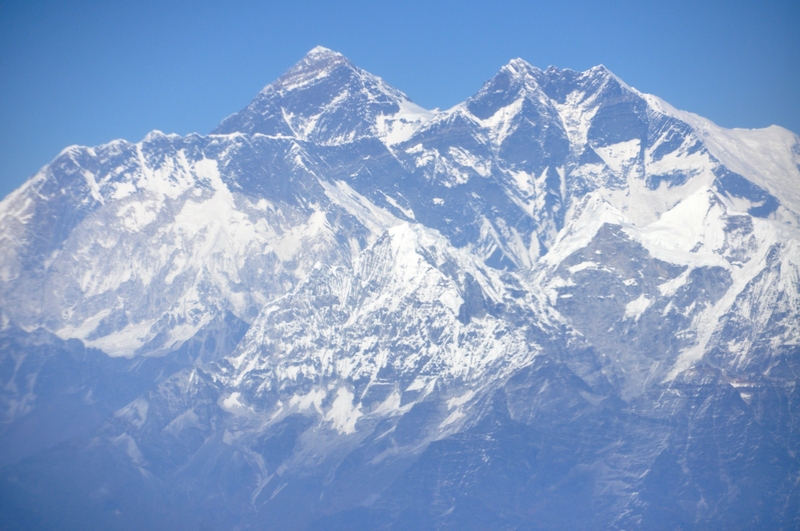 Despite of that, or maybe because of this isolation, it has succeeded in keeping its unique culture and traditions and it is considered as the last Sangri-La. When walking around the country, one of the first things to notice are that the local people all keep wearing the national dress, called “gho” for men and “kira” for women. These clothes are not only comfortable, but also very pretty and colourful. 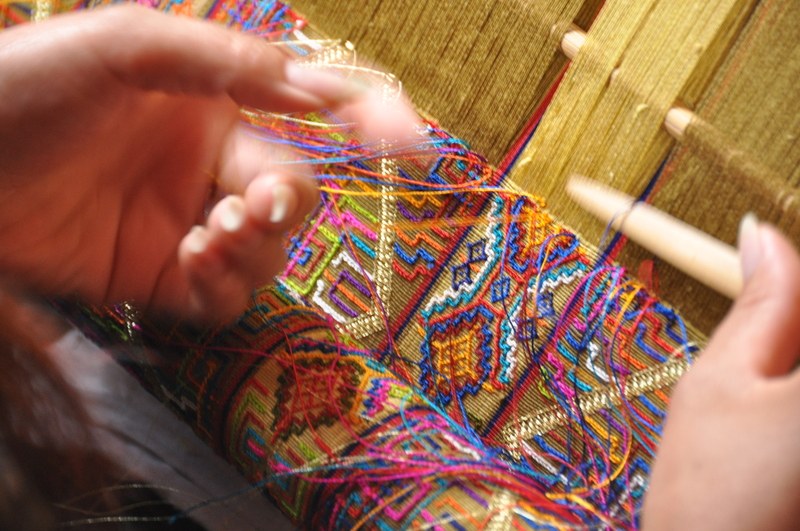 They are wear during working time, but also casually and in especial occasions such as festivals, where the most expensive and fine silk hand-weaved clothes are exhibited. Another thing that caught our attention is the love that everybody has for the royal family and the king. It is not only that they hang their portraits and pictures in their houses, restaurants and shops, but also when talking to the Bhutanese, they have an enormous respect and pride for their king and his father, the former king. And actually, few countries in the world have a king who not only lives in a country cottage, but also who is so down to earth that walks around the country and asks people who their business is going, or what are their problems, in order to do something to improve their lives. According to our guide, it is not uncommon to see the former king and his son riding their mountain bikes around the Thimphu hills. In 2008, the former king abdicated in favour of his 28 years old son, but before that, he created a constitution and proclaimed the first democratic elections in the country’s history. Therefore, the king is now not in charge of the country’s politics, but it continues to have an important role in the country’s future. The last royal event, the royal weeding of the king with a 21 years old beautiful woman the 13th of October, is still celebrated throughout the country and pictures of this young couple hang everywhere. 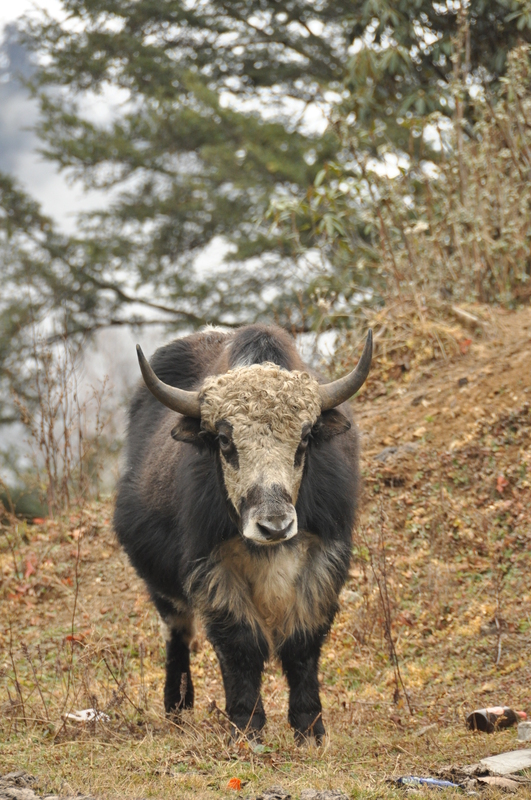 With focus on sustainable development, Bhutan has the largest proportion of land designated as protected areas in the World, with 65% of the country covered by forests and mountains. Despite its tiny size, it features great biodiversity due to the large variation in altitude, ranging from 100 to 7500 meters. Its more than 5000 species of plants include tropical evergreen forests in the plains of the South, dark green forests in the valleys of central Bhutan and alpine vegetation in the higher areas of the North. 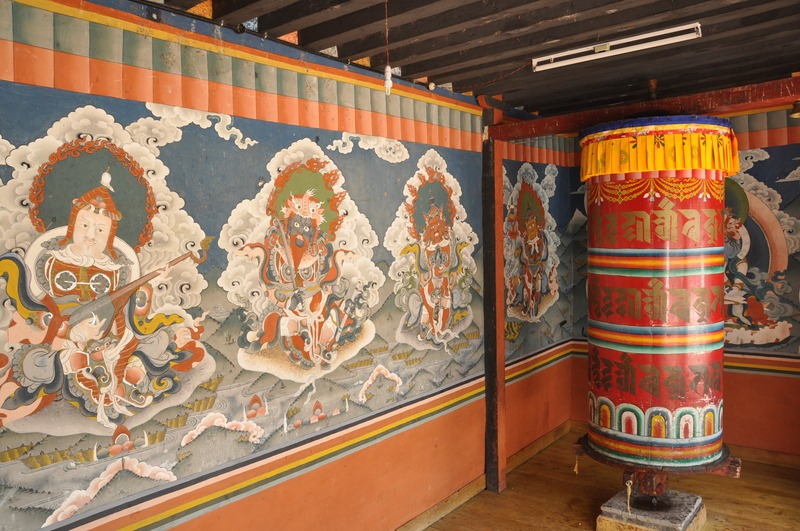 Bhutan’s rich history is mixed with fantastic legends and tales, where saints subdue demons and convert them into protective deities and where thanks to the “Divine Madman”, phallus has become one of the most sacred religious symbols and it is very commonly used as decoration motif in house’s front walls. You will not believe this guy! First thing we did when arriving to a new village was asked for the best wine and the most beautiful young girl. By means of his “weapon” (yes, you are right, his pennies), he would subdue the demons threatening the girl’s family or the region. 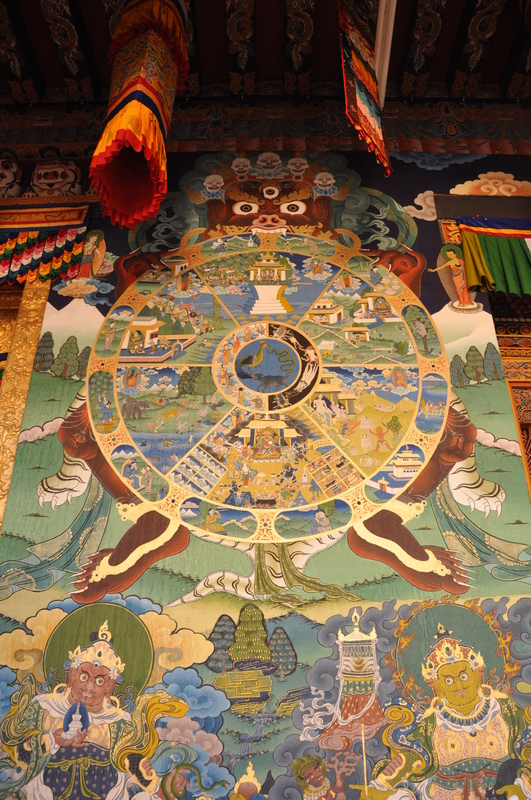 The story and life of the “Divine Madman” (his real name being Lam Drukpa Kuenley) is worth to be checked out! It is funny that according to these stories, most demons possessed only women and they were precisely these women who required “purification”. 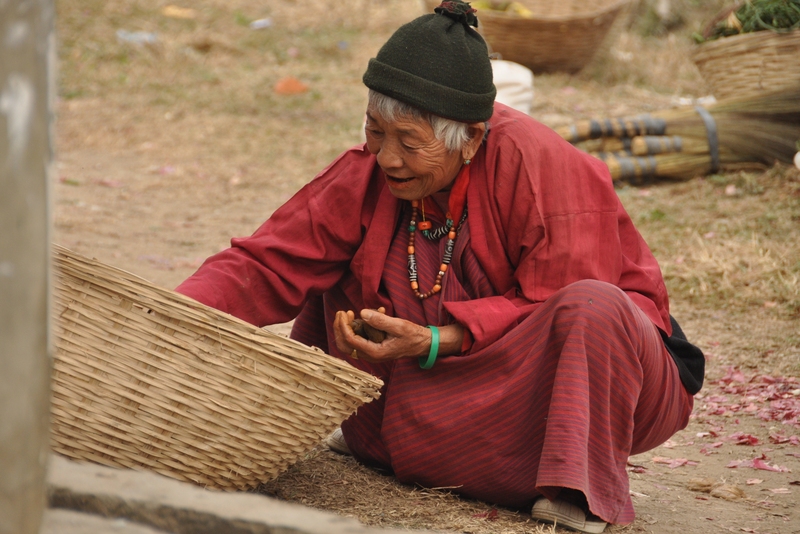 In our eyes, this is one of the many tales that are difficult to believe or understand, but they all form part of the Bhutanese system of beliefs and they should be respected. As one of the Buddhist countries by excellence, the lives of the Bhutanese are strongly linked to Buddhist traditions and rituals. Children’s names are chosen by pulling a name out of a glass jar in the temples, marriages are not arranged, but they are evaluated according to the Buddhist calendar, in order to find out whether the relationship is auspicious or not. Offerings of food, especially butter for the temple’s lamps, are donated by the local people to the monks of every temple. Money is offered to the three main images of any Buddhist temple: Buddha (either in its past form, present form or future form), Guru Rimpoche (the person who introduced Buddhism to Bhutan) and Zhabdrung (the person who unified the country) and to many others. When visiting the temple, one can always encounter people doing their daily praying by walking around the praying wheels (always clockwise) or by doing their prostrations in front of the altar. Festivals are always linked to Buddhist religion and/or Bhutanese history they usually represent important past events for the country. 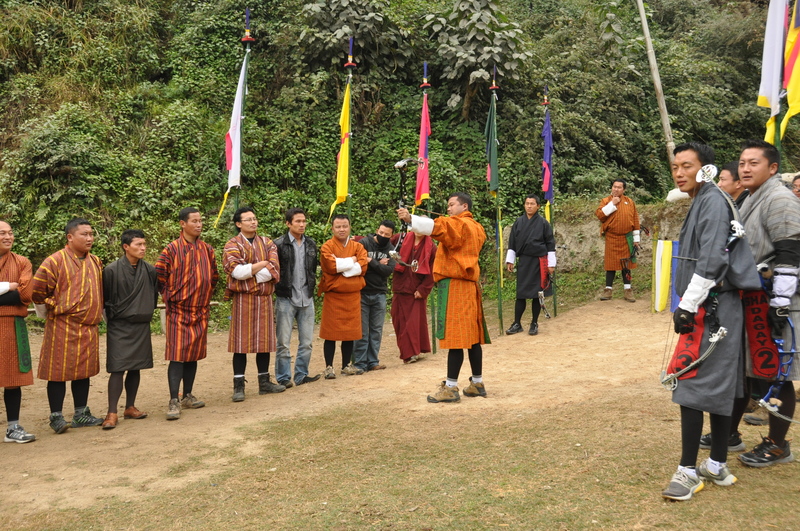 The dances are normally performed by the monks in the larger festivals and by the local people in the smaller festivals. 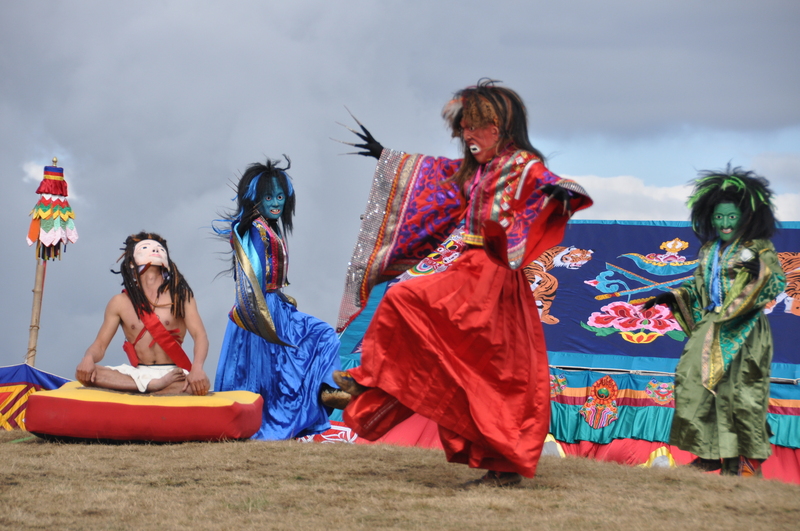 Dancers are dressed with colourful dresses and faces are hidden by scary-looking masks representing the local deities. Rehersal of a new festival that we encountered by chance! 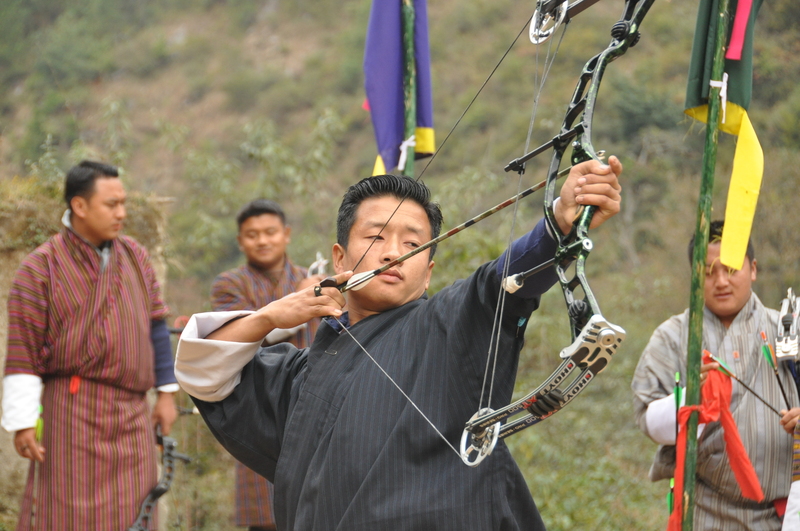 Archery is the national sport (and his little brother, darts, one of the main time pass), and you can easily find people shooting their bows. The matches are in themselves an amazing cultural show. Two teams, with member in each of the two sides where the bull eyes are located (145 meters apart!!) shoot arrows in turns. When your team hits the target, all the members will perform a rather interesting (funny in our eyes 😉 dance. The other national “sport” is chewing the nut. 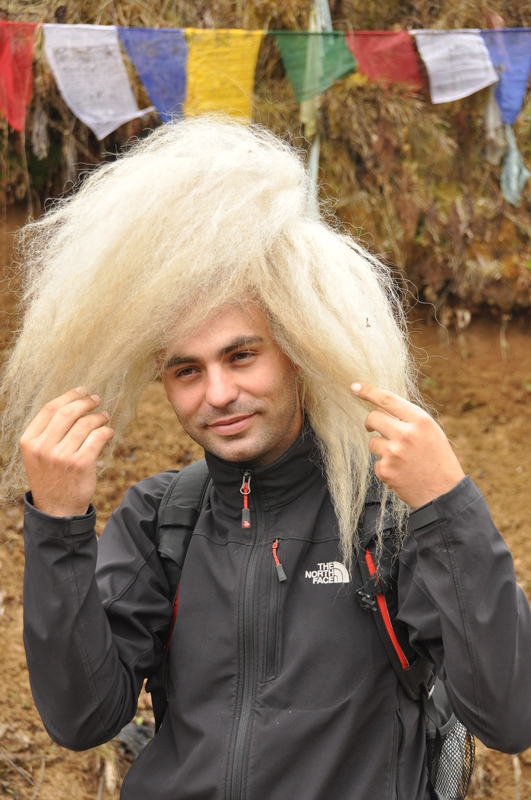 As our guide used to say “it is the easiest way to recognize a Bhutanese”. You may have seen it already, as they also eat it in other countries like India. 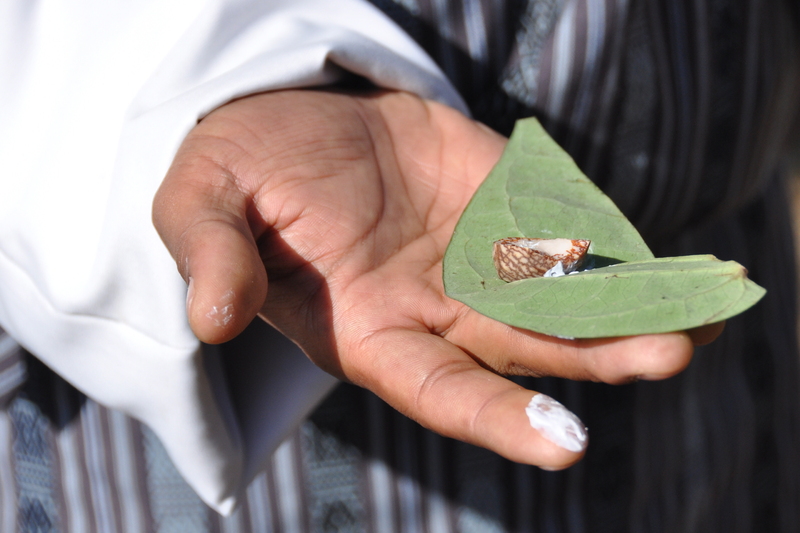 It consists on a nut rolled on a betel leave with a little bit of lime altogether. It has a very peculiar odour (at first is ok, but after a few days it starts feeling a little too much since we are not used to it and it is very intense). After chewed, the mix gives and intense red blood-like colour to the whole mouth, which is very weird, because when they spit, it looks like blood! What they will tell you is that they take it because it keeps you warm, but we strongly believe that it is kind of a substitutive of the tobacco since this is illegal in Bhutan. 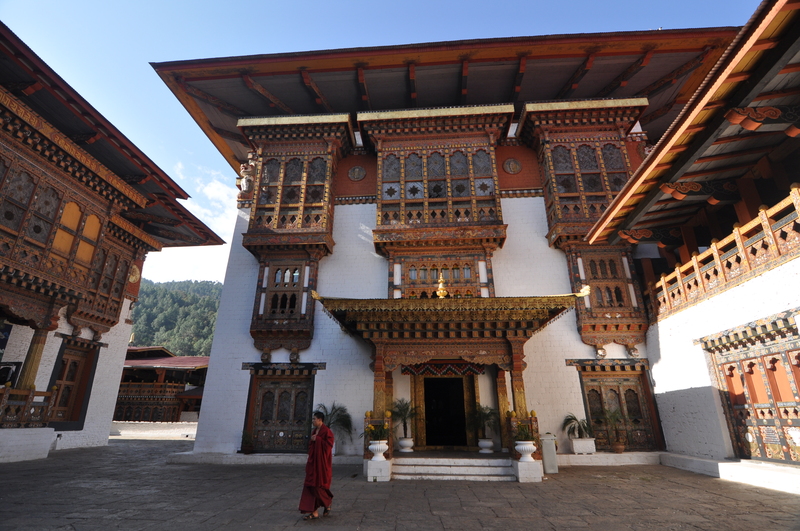 When it comes to architecture, Bhutan has a unique style which is different from all other countries. Chortens (monument housing relics of Buddha), goembas (monasteries), lhakhangs (temples) and dzongs (fort-monasteries) are typical Bhutanese religious buildings. Houses are typically two storeys white washed buildings with wooden roofs (modern buildings have changed to more practical fire-resistant tin roofs), elaborated wooden cornices and windows and paintings such as garudas (mystical animal), dragons and phallus on the walls. A player flag, usually white, commonly waves from the roof. Normally, the bottom floor is reserved for animals, while the top floor is used for the family. 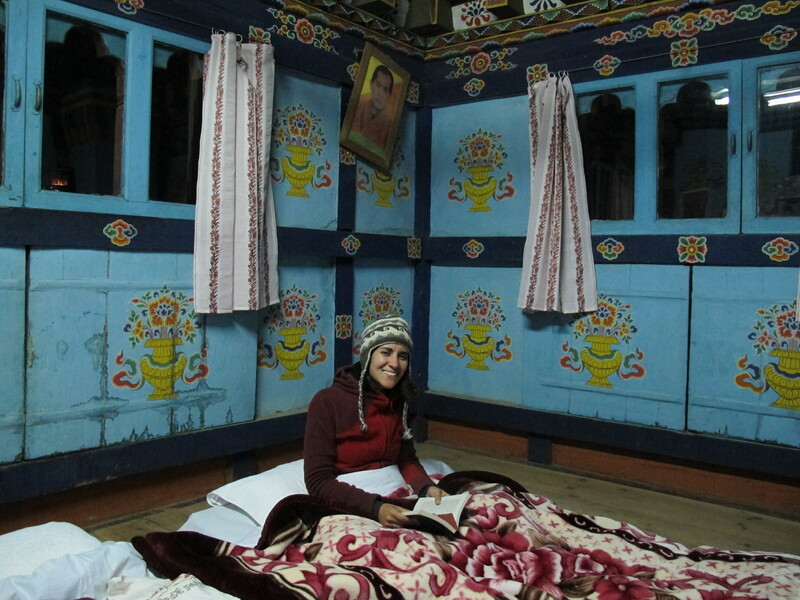 In contrast to the individualistic way of living of the Western countries, where each person in the house has its own room, Bhutanese families share a room where all member of the family sleeps and spends their time together. Traditional house decorated with phallus in honour of the "Divine Madman"
-Deep fried vegetables such as egg-plant or zucchini. -And if we ask for it, as I usually did and ended up with my mouth on fire, the typical Bhutanese meal, as explained above. 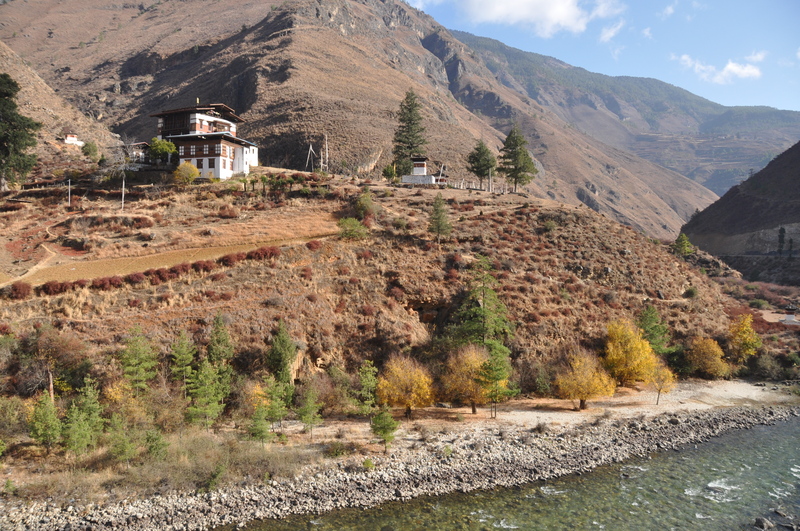 Bhutan has remained quite rural and undeveloped until quite recently. Something that proves this is that when referring to distances, Bhutanese people talk in terms of “walking days” instead of kilometres! 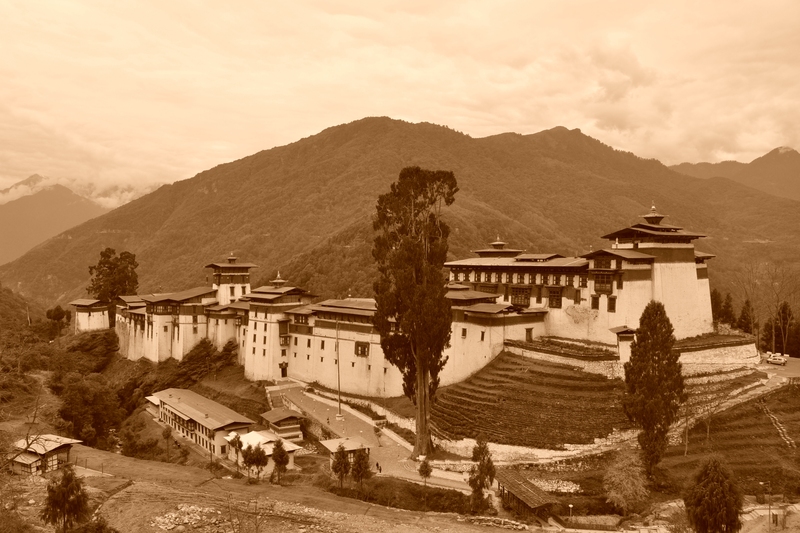 Until the 60’s, Bhutan had no schools, no hospitals, no postal service, no telephones and no national currency. It was also closed to tourists and only royal guests entered the country until the early 70’s. Still today, the country is known by its tourism policy of “low volume, high value”. 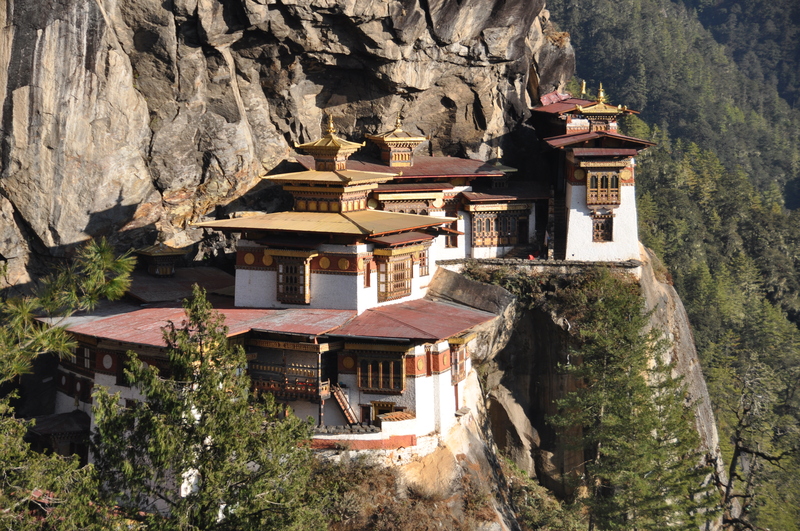 This means that one cannot come to Bhutan on its own, but every visitor has to come through an agency and has to pay a minimum daily fee, which makes it one of the most expensive countries to visit. However, everything is included in this daily tariff (i.e. 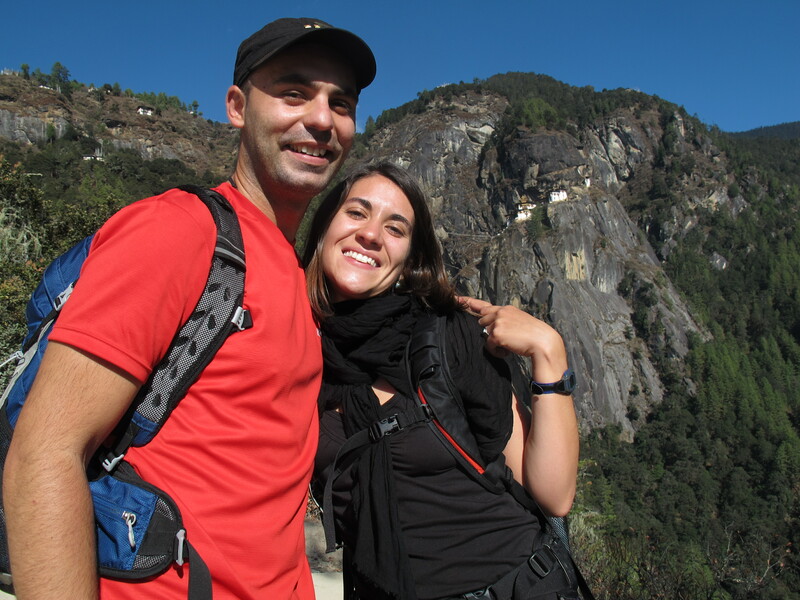 own guide, car and driver, accommodation, meals and all ticket fees) and the quality of the services is quite high. The idea behind this is to preserve the Bhutanese cultural and environmental values and by paying this fee you are supposed to be helping this small kingdom to catch up with the developed world. 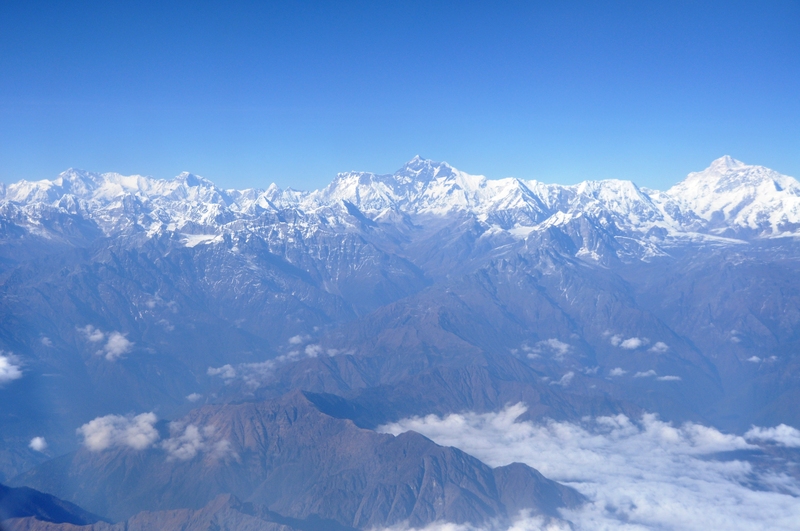 We hesitated significantly before we decided to come to Bhutan. Finally, and to be honest, mainly because of my (Sonsoles) perseverance, we decided to book a 9 days – 8 nights trip in order to learn more about this unique country. 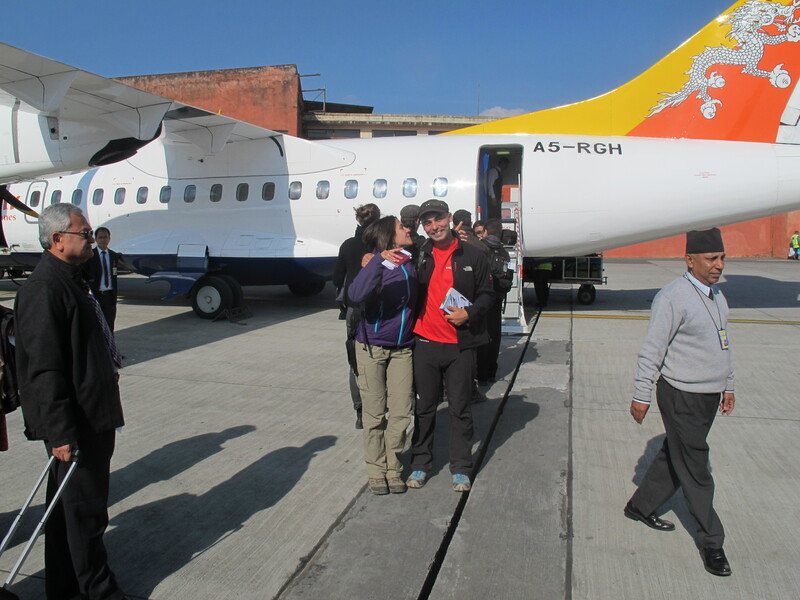 We land in Paro airport after an exhilarating flight from Kathmandu around 15:00 local time. 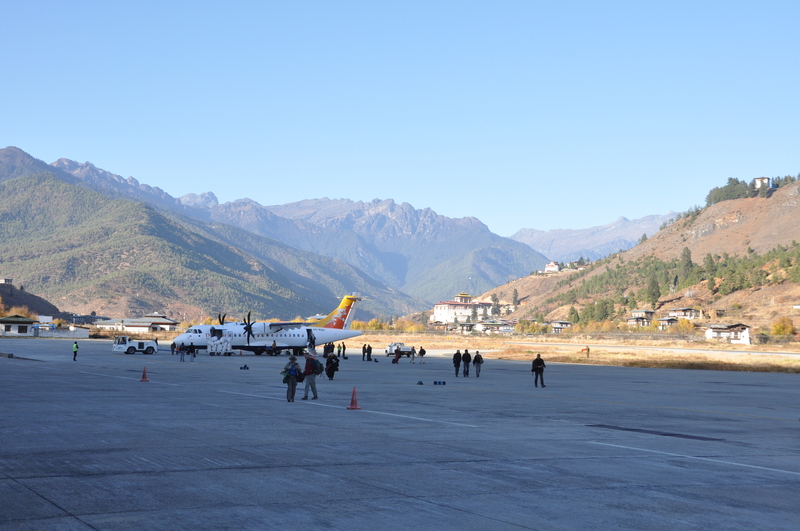 Paro is not the capital of Bhutan, but it is virtually the only place in the whole Bhutan which is flat enough to allow a place to land. Paro is located in the western side of the country, at n altitude of around 2200 meters. Our guide, Phub Tshering, or Haba, as he asked us to call him, and our driver, Palden, are waiting for us at the airport. Positively surprised, we find out that we got a really nice car, a Toyota Landcruiser 4×4, with seats comfortable covered by beautiful carpets depicting dragons. 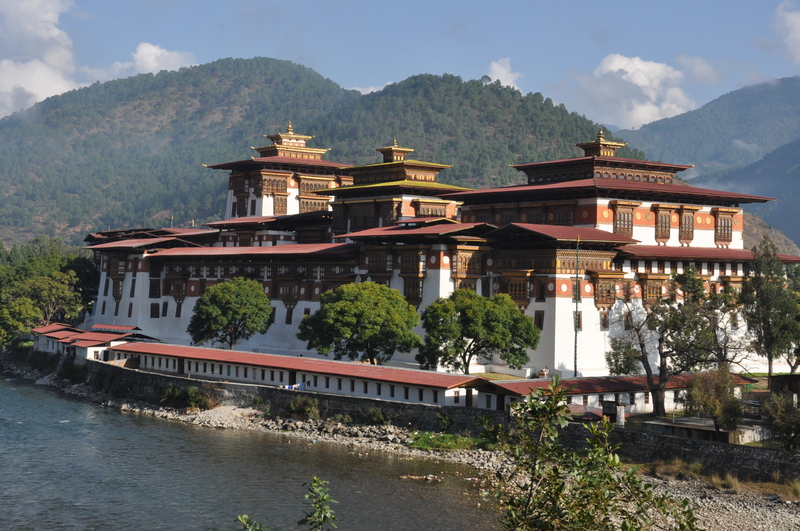 The weather is sunny and nice and there are still a couple of hours of light, so we go straight to visit a couple of sights: the Drugyel Dzong and the Kichu Lakhang before heading to the hotel. The Drugyel Dzong is an old fort, but unfortunately, it was damaged by the earthquake of the past September and it is not safe to visit, so we just see it from the outside. This fort is located in the route to Tibet, only two days away by foot. 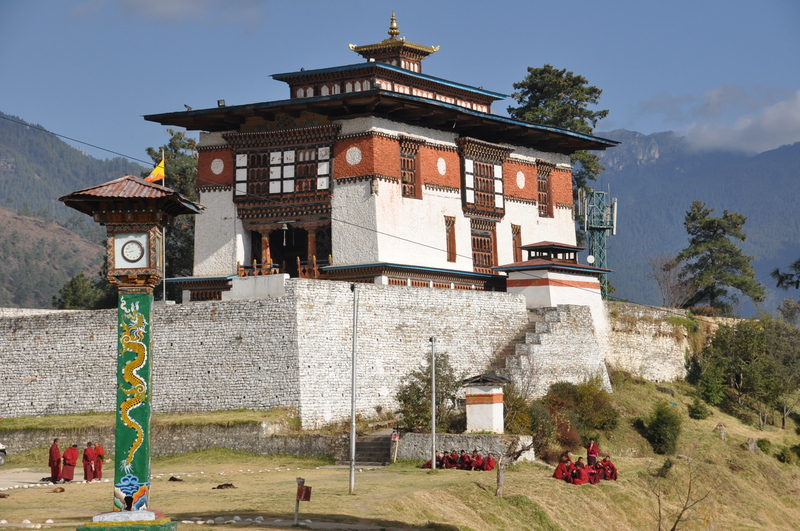 Kichu Lakhang is one of the oldest temples in Bhutan. It dates from the VII century and its history links it with the wider world of Buddhism. This temple, together with other 107 temples around Bhutan and Tibet, were built in one day in order to subdue a giant demon which was frightening the region. Apparently, the temple is placed right above the left foot of the demon. The hotel for tonight is a wonderful place called Gantey Palace, and example of Bhutanese design and architecture with an extremely nice and welcoming owner who shows us around his tower with his treasures upon arrival. The standard of this hotel is really high after what we were used to in Nepal with our low budget, and we are surprised to get a radiator inside the room (which was previously turned on by the employees, so that we had the room warm when we arrived) and a bathtub with hot water! After a few minutes, somebody knock the door and Iván stares with surprises eyes how two fast and efficient women come with two hot water bags and place them under the bed sheets, so that the bed is warm! How well taken care of we feel during this first moments in Bhutan! We enjoy a nice dinner together with a large group from Malaysia and some other guests and we try the local beer, Red Panda, produced in the center of the country. We get up early, as we will do every day during this week, and we sadly see that the whole sky is covered by clouds. What a disappointment! Haba also finds it really weird, as he says that it has been sunny for the last few weeks…After breakfast at the hotel, we drive towards the center of the country, that is, East direction, and the plan is to drive 3.5 hours to Punakha and do some sightseeing on the way and in Punakha itself. As soon as we leave Paro, the clouds disappear and the sun comes out. Everything is so beautiful in the Paro valley in this light! We stop in a few places to take pictures. We drive through Thimphu, the capital of Bhutan, which we will visit later on this trip. We pass the Simtokha Dzong, which is supposedly the oldest in the country and it was built by Zhabdrung, the person who is considered to be the unifier of Bhutan and whose figure is in almost most temples. Shortly after, we go through the Dochu-La pass, where there are good views of the Eastern Himalayas on clear days. However, the weather turns cloudy again and there are only glimpses of the mountains. On the pass, we visit the 108 chortens which were built in 2005 by one of the former king wives’ herself in order to commemorate the victory in the civil war and the people who had suffered during the conflict. We stop for lunch in the village restaurant and Lobesa, were we try what will be a typical Bhutanese meal for tourists ;o) In the afternoon we visit the weekend market in Punakha, the wonderful Punakha Dzong (with cloudy weather, though) and the Chimi Lhantang, from the s.XV, dedicated to the “Divine Madman”, see his story in one of the paragraphs above. Tonight we sleep in a farmhouse in Lobesa, a small village near Punakha. 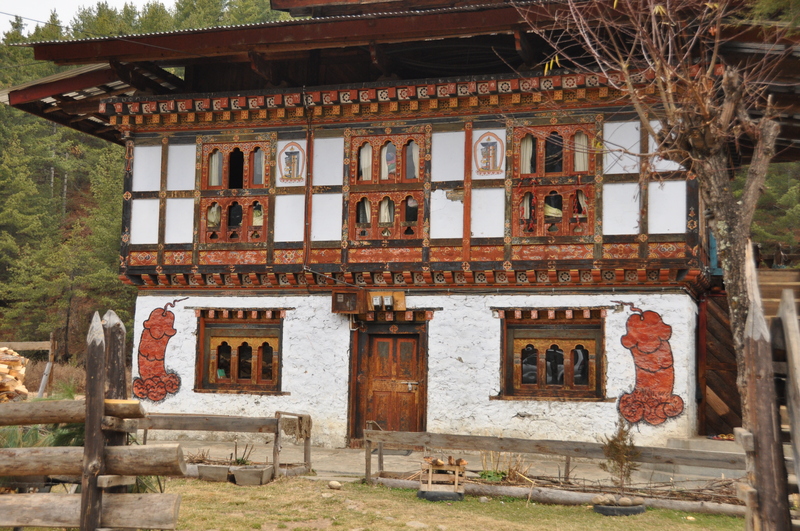 The farmhouse is property of two mid-aged sisters, but we only get to meet one of them as the other one is in Thimphu. When we arrived, we are shown our room, a very nice room with two mattresses in the top floor, and we are welcomed with Tibetan tea or butter tea and rice based snacks. The Tibetan tea is a thick tea made from melted butter, salt and boiling water. 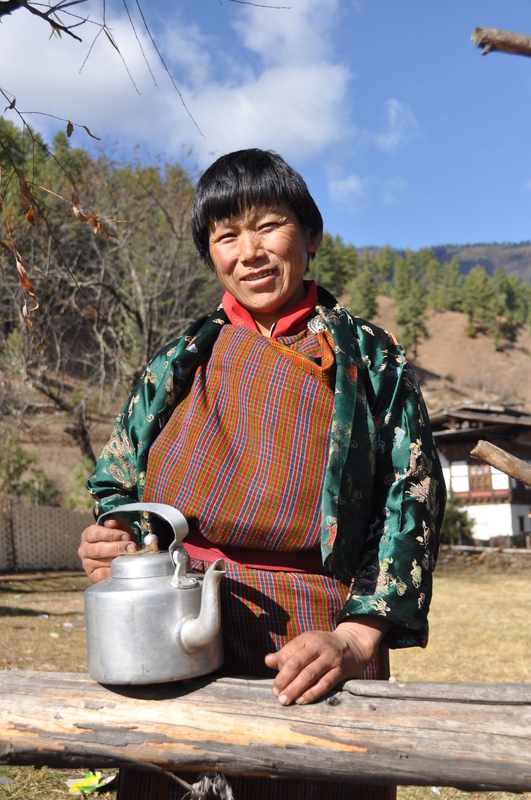 The result is a heavy, brown-coloured drink, which Bhutanese say, keeps you warm. I liked the way an English girl who we met described it: “it is a heart attach in a cup”. Today’s dinner is also a traditional one and we all eat in a circle on the floor of the kitchen: the owner of the farmhouse, two girls who have come to help with the dinner, our guide, our driver and us. The food was so spicy that it took two weeks to grow our eyebrows again! We really got now why Bhutanese are called “Dragon people”, hehehe. After a hearty breakfast, which as the dinner, was also based on rice, chillies and potatoes, we start our long drive to central Bhutan. Shortly after, we see our first archery tournament and since it is weekend, many people have gathered to observe the game and cheer up the different teams. The weather is still cloudy, so the views on the different passes are not good at all, but we still hope that the sun will eventually come out! The drive is long and tortuous, but our experienced driver does his job very well! Guess what Iván is wearing on his head? After lunch, we reach Trongsa, where we visit its imposing Dzong. Again, there is an archery tournament going on here. By the end of the evening, we finally reach Jakar, where we will spend two nights. We stay at Rincheling hotel, where we get a fantastic room: spacious, all made by wood and traditionally decorated with a Bhutanese stove inside! The food is even more impressive and we are delighted to try the typical cheese of the region, made in a Swiss factory close by. Today we are attending a local festival Tang Namkha in a village a couple of hours away. 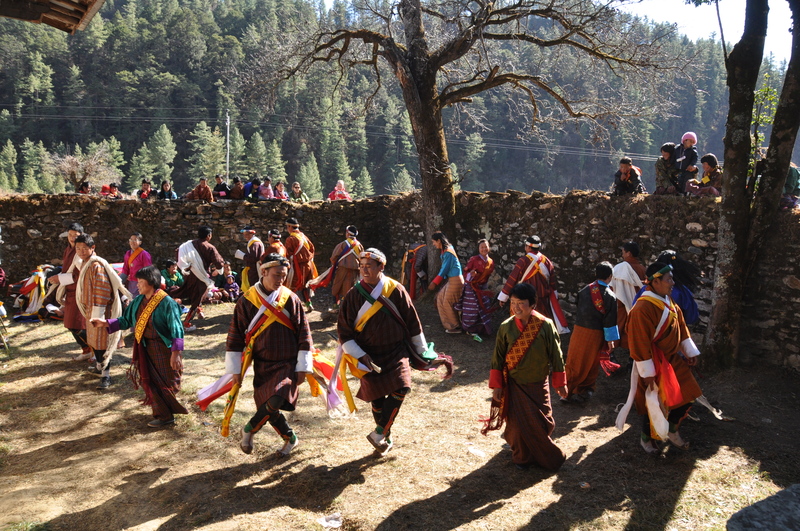 We have been looking forward to this day for quite some time, since festivals are something really special in Bhutan. When we arrive, we find the local festival to be even more local than we expected. It is like attending a festival of a Spanish village in a very rural area!! Like going to “las fiestas de Villacodillo de Galapagar (sorry, only Spanish people will laugh here). The local people start coming with picnic baskets and the younger ones start rehearsing the dance of the day. It shocks us that everybody is so drunk! Local wine (“ara”, 25%+ of alcohol) is all over! We meet a nice couple from England (Joe and Andrew) and we have a great time with them and their smiley female guide, Chimi. 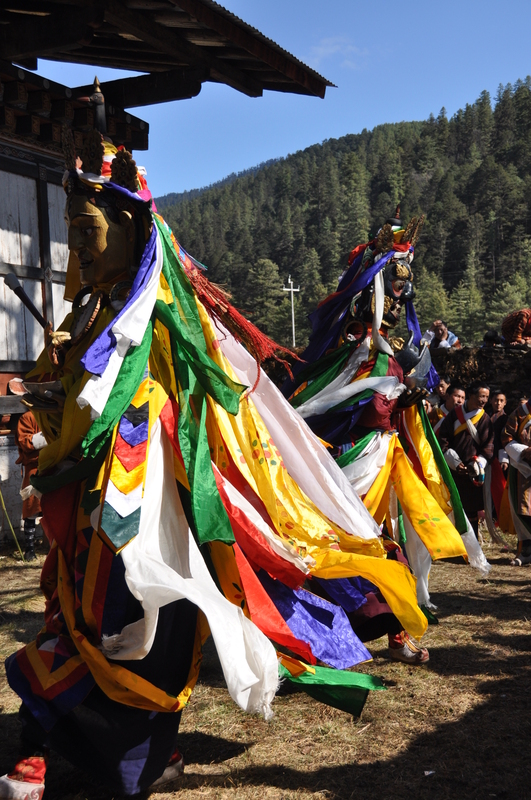 The dances are performed in the temple courtyard and everybody gather around it to watch first the local people dancing, then the two masked local deities and finally the “yak dance” (see pictures below). In the middle of all this, a guy holding a wooden giant phallus, called the clown, harass the dancers and the audience, specially the girls, in search of money but basically for the fun of it! After a picnic with our new foreign friends and all guides and driver, accompanied by some glasses of ara, we head to the next destinations: the Ogyen Choling Museum and the Membartsho or “burning lake”. 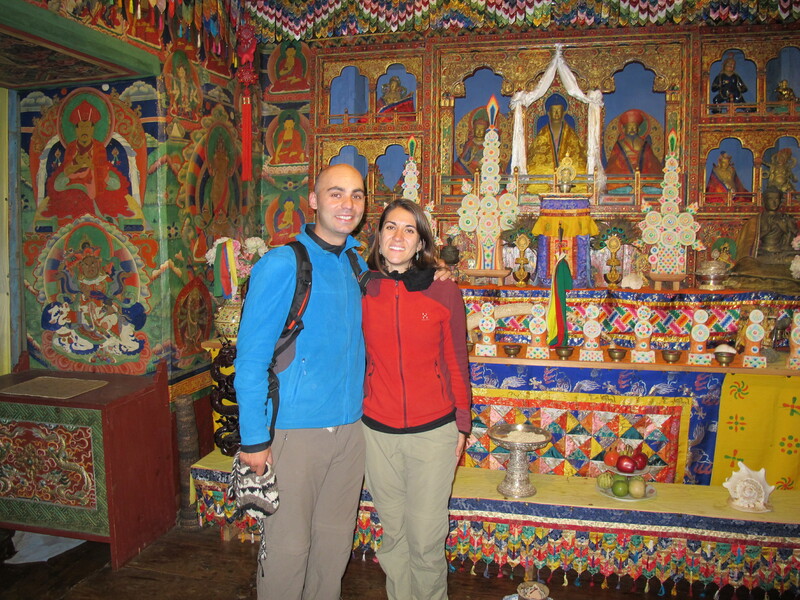 The Museum gives us a good insight about Bhutanese way of life (we found everything really funny because of the ara!) and the burning lake is a really special place with a beautiful story. Beside it, there is a tiny cave with two exits and legend goes that despite of your weight or volume, if you are able to come in by one side and com out by the other side, your body and mind are clean from sins (funny enough, only our guide could manage!). Before heading to the hotel we visit Kurjey Lhakhang temple, one of the most important in the country since Guru Rimpoche left his body prints through meditation. Back at the hotel, Iván and I try one of the Bhutanese experiences and have a traditional hot stone bath. 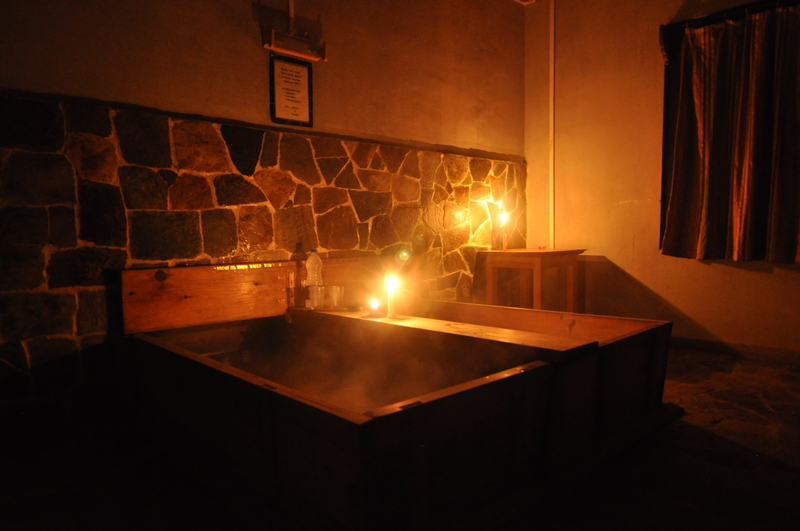 It consists on a wooden bath tube where water is heated by hot stones which have been on the fire for at least two hours! By means of an ingenious system of buttons and lights, you can tell the guy on the other side whether you need more hot stones or cold water. The feeling that you get after the hot stone bath is really good and it makes you feel completely relax! Before leaving Jakar, we visit the Jambay Lhakhang, where there are the three famous stone steps, representing past, present and future (the past step has already sink below the ground). The monks at this temple are getting ready for the visit of the head of the monks, equivalent to the Pope in Catholicism. On the way back, we visit the fine Trongsa Museum, located in the tower of the fort, where we meet again our English friends. Back on the road, we meet the head of the monks himself and we have lunch at the same restaurant that he has just left. 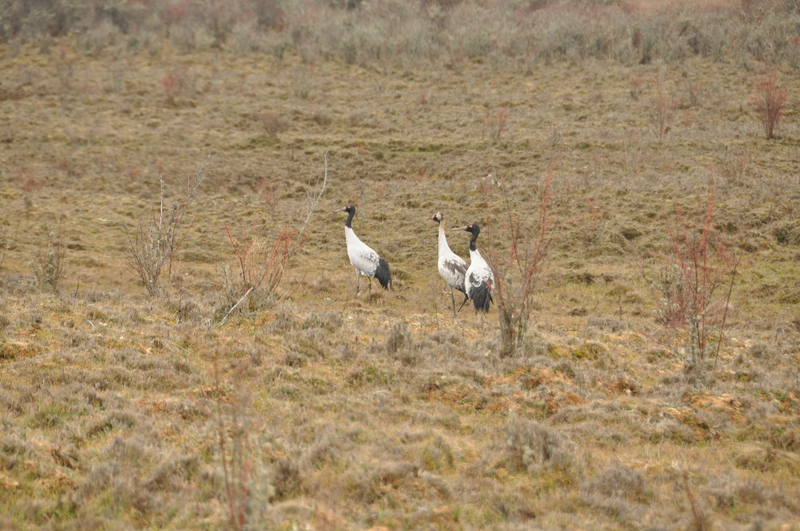 After a quick stop at the nearby Chendibji chorten, built in Kathmandu style, we continue to the Phobjika valley, where we come to see the black-necked cranes, a really special and threaten bird, which comes to Bhutan from Tibet every year from October to April. When we arrive to the hotel it is already quite late, so we just have a quick dinner and go to bed. Tonight we stay at Dragon nest Hotel, an OK hotel by the river and in a room with TV, for the happiness of Iván. We wake up in a beautiful sunny morning. 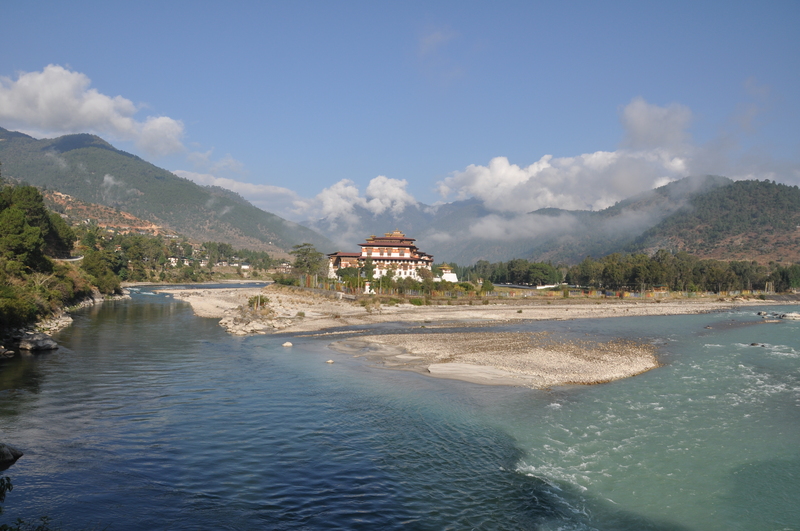 We see Wangdue Dzong in the distance, but we tell our guide that instead of visiting this Dzong, we prefer to see the Punakha Dzong again, this time with sunlight, because we think that this is the most beautiful Dzong of them all! He agrees on that and we spend a couple of ours in this fantastic fortress, built on the place where two rivers (female river and male river) meet. 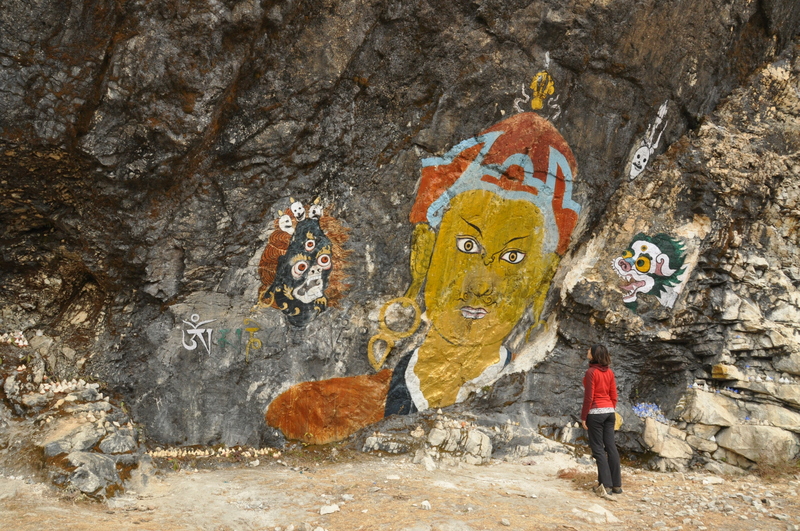 After that we have lunch at the Dochu-La pass restaurant and we visit a new temple in Dochu-La pass, where we see very beautiful cartoon like paintings depicting the different kings of Bhutan, the royal family and some other motifs. Totally by chance we encounter the rehearsal of a no even announced festival!! It is incredible beautiful since it takes place in a hill behind the temple with the views of the Himalayas on the back. It is also very colourful and the stunning drums are hypnotic. After the low key festival we already saw (very interesting and fun though) this give us a better idea of what the biggest and most famous festivals look like. Back to Thimphu, we visit the post office where we buy some traditional Bhutanese stamps, the Memorial Chorten and the Chang-Gangkha temple, a very special temple where parents bring their babies in order to get a name for them from the monks. In the evening, we visit the Thimphu Dzong (only open from 5pm to 6pm because it is used during the day by the Government) before coming to the Hotel. We stay for two nights at the Yeedzin Hotel, a centrally located hotel where we get a nice room, or should I say an apartment (because there is a living room, a bedroom and a bathroom! ), but where the food could be seriously improved. After dinner we meet with Anne-Erika and Nono, friends of Camille and Elisabeth, and we have a great time with them, sharing stories and experiences about Bhutan and Denmark. Today we see many sights in and around Thimphu. The weather is great! 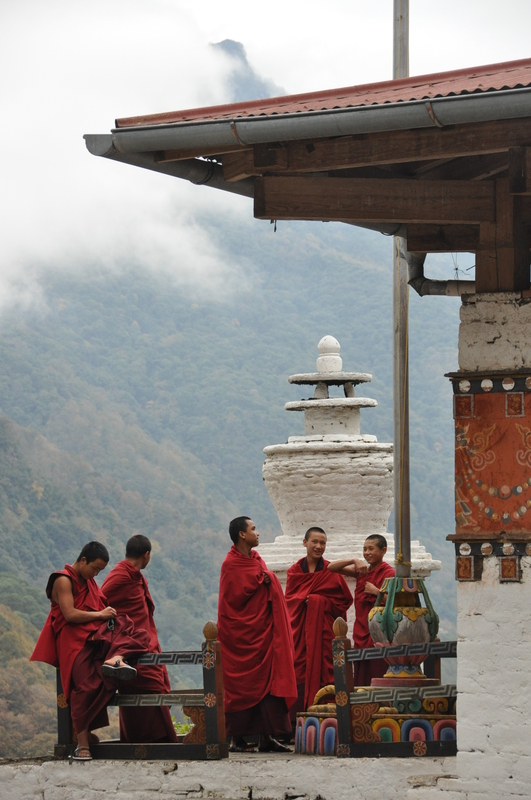 We visit Dechenphodrang Monastic Institute, where we see the morning prayer of the youngest monks. Then the Takin reserve, where the few remaining national animals are kept. The takings are weird animals which are said to be created by the Divine Madman and they are indeed as strange as him! 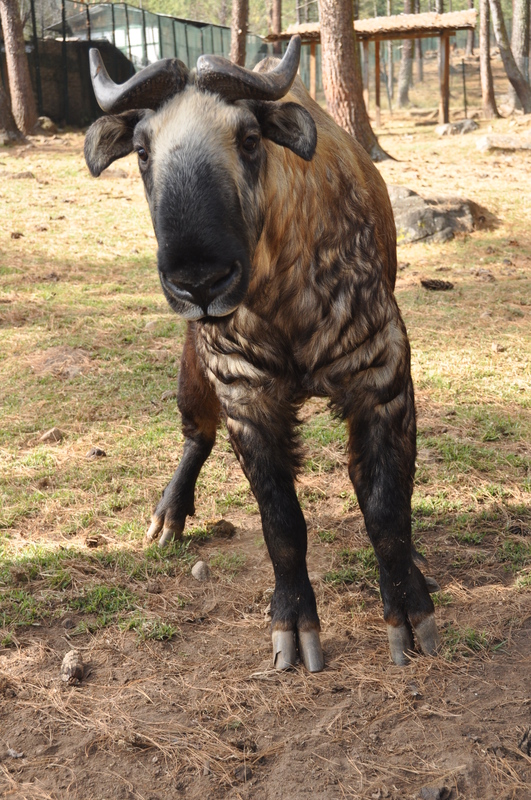 When you look at them, you are surprised to see an immensely big animal which look like a mix of cow and goat. After buying some hand made cotton and silk scarves made by local women, we visit the National Library, containing the World’s biggest book, the rather boring Folk Heritage Museum and the hand-made Paper Factory. 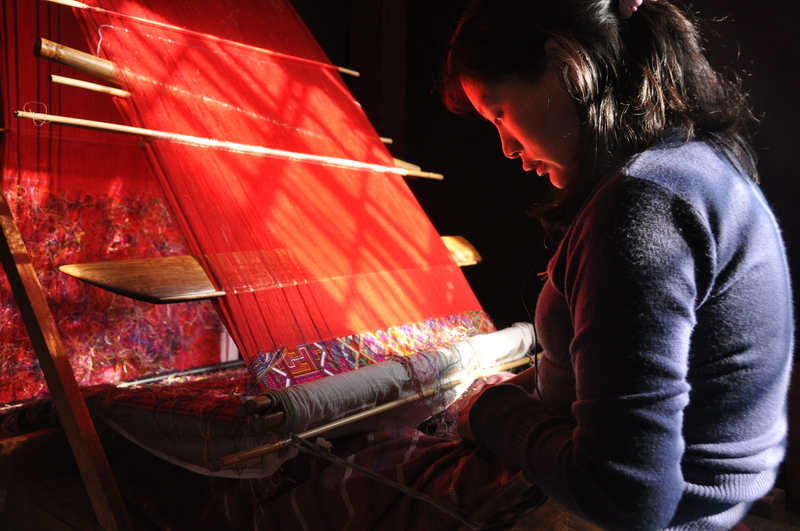 In the afternoon, we visit the Changzamtog Traditional Weaving Center, where many women are making kiras (dress for women) in traditional patterns, all very colourful, beautiful and expensive (one could cost 1000 USD) and the huge new Buddha statue in top of the hill. The site is still unfinished and we feel like visiting a dusty construction site, but the views of Thimphu from here are great, tough. 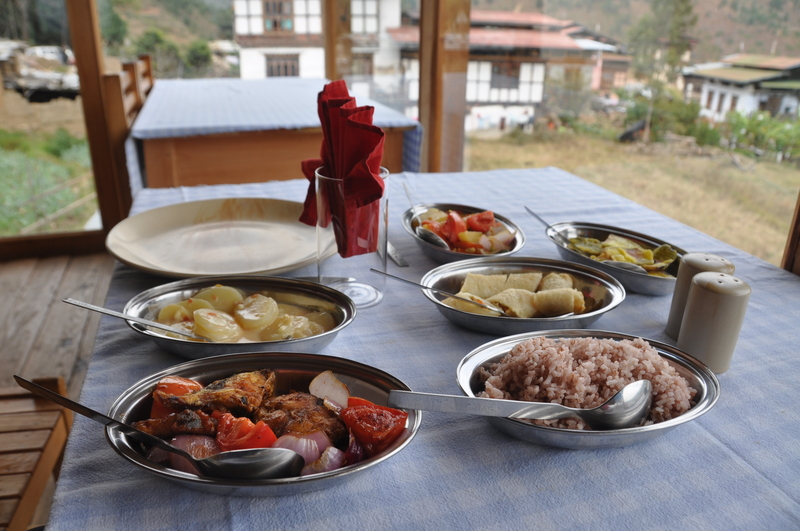 As it is almost our last night, Haba and Paldel come for dinner with us at a traditional restaurant, “Bhutan kitchen”. 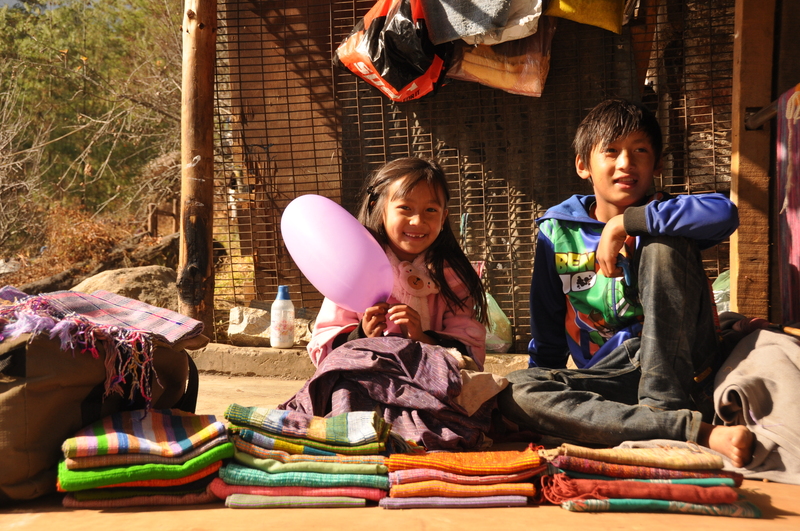 Before driving to Paro, we stop by the post office again, in order to send our 16 letters and postcards!! We really hope that they arrive! 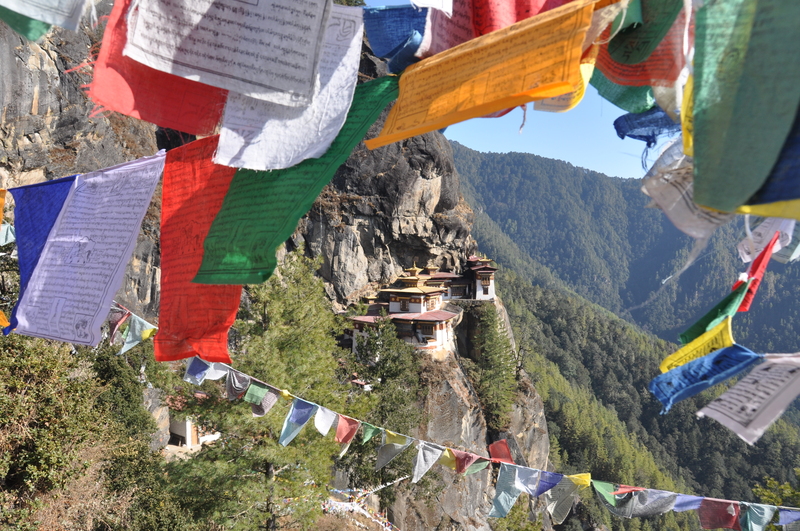 Back in Paro, we start the hike up to the Taktsang Monastery, the famous Tiger Nest, perched on the top of a hill. 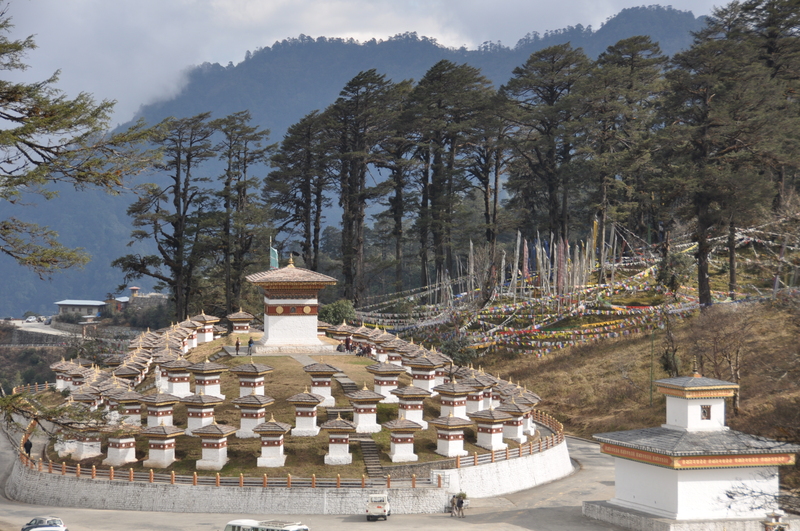 It is the main pilgrimage center for Buddhists from all over Bhutan and Tibet. The hike takes us 5 hours, including stops for pictures and lunch, but we enjoy it a lot, since the weather is great and the views of the temple from all angles are breathtaking. How were they able to build a temple on the edge of a hill! Unfortunately, the whole complex was burnt in a fire in the late 90’s, but Bhutanese made a great effort to rebuild it to its original form and it was completed in 2005. On the way back to town, we stop to see archery and darts tournaments, always funny sports to watch, and we reach the hotel after sunset. Tonight we stay at Sonam Trophel Hotel, in the middle of town and just above two karaoke bars, which makes it a little noisy until midnight. However, the food is great and after dinner we chat a lot with Haba and a friend of his, and they even talk to my mum and sister from Skype, while I am talking to them with the video camera. Today is our last day in Bhutan and we feel different emotions, sad for leaving, but at the same time excited about going to our next destination: the warmer and fantastic Thailand! Before heading to the airport, we make a quick stop to see the Rinpung Dzong. The views of the Paro valley from this Dzong, as usually perched on top of a hill, are breathtaking, especially under the bright morning sun. Haba and Paldel accompany us to the airport. We say goodbye to each other and wish each other best wishes. It has been a real pleasure to meet them both. We cannot believe that the week has passed so fast! 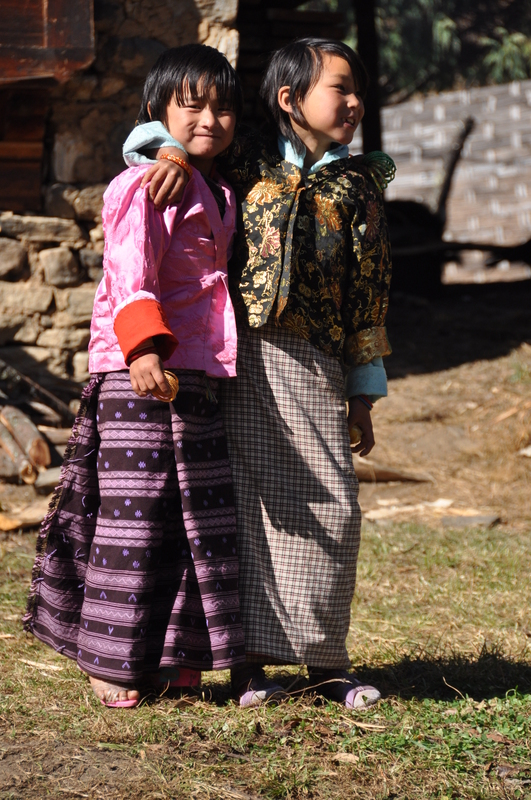 We have seen so many interesting sights and learnt so much that we will always have a smile when we think back about Bhutan, indeed a really special place to visit.